A beautiful millwork design can be ruined by an unattractive finish. Our in-house commercial spray booth system ensures that our fine woodworking project is properly sealed and completely dust free. Why would you settle for anything less? 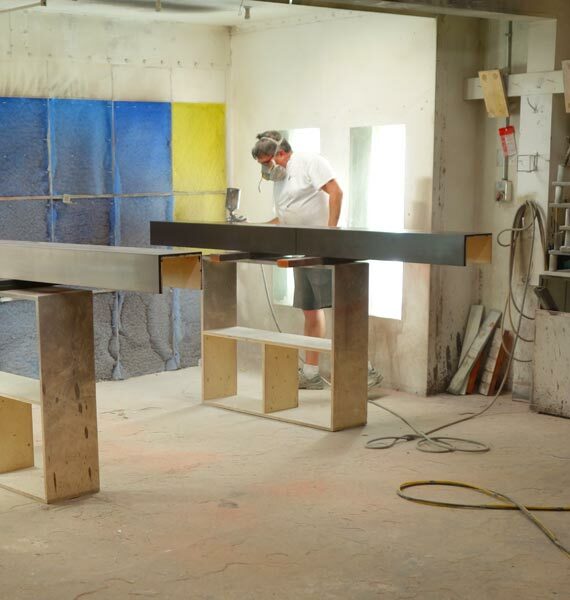 Our finisher has more than 25 years experience with manual and spray booth finishes and is an expert problem solver for even the toughest applications. He can apply your choice of stain and lacquer finishes, glazing, coloured lacquer, antiquing, high gloss (Italian wet look) and also provide custom colour matches to your millwork design.